Schools and students have permission to use this graphic for non-commercial, educational purposes. This is not a real star photo but one I created. When we look out at night, staring into space, we come to realise space is big, very BIG. 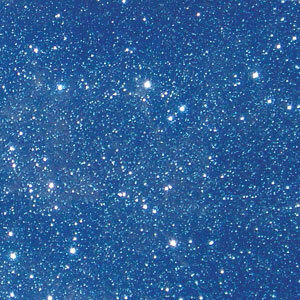 I have heard it said if we were to count all of the grains of sand on all of the world's beaches there would still be more than that number of stars in our universe. This helps us realise there is so much more to know than we can possibly see. At the end of last year, I prepared a short video clip about a small community known as Earth. It was for a class looking at ways of making a difference globally. It shows we can start by looking at ourselves and as we expand our view we move out into the universe. As there is quite a lot to cover, this comment has been broken into 2 parts, each dealing with 6 questions on the class blog. I was fascinated by your post entitled “Bloggers of the week: Our excursion to the Observatory”. I have very many interests in many subjects but the sciences are particular favourites. While I was a primary school teacher before retiring, I held a degree in science. Seeing your questions, I knew I had to try to give answers to as many as possible. 1. 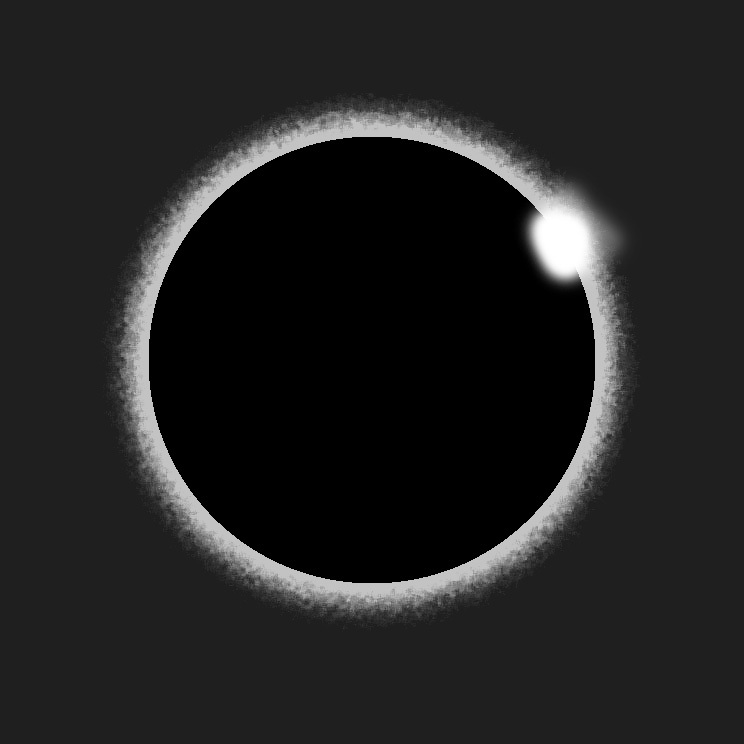 How do solar eclipses happen? 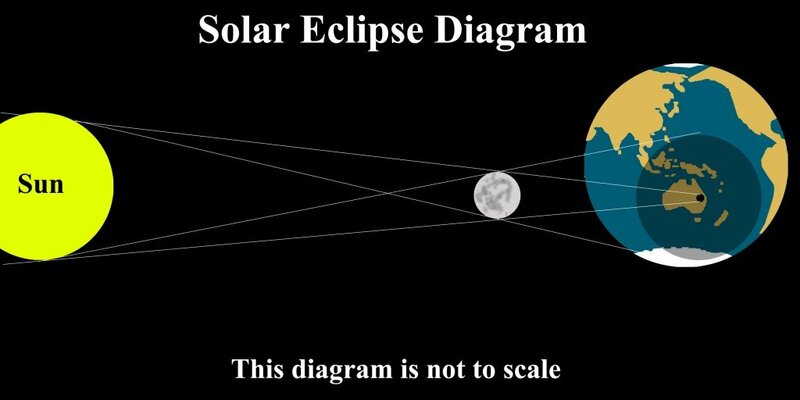 If you look at the diagram, it shows the shadow of the Moon cast on the Earth. In the centre of the shadow there is a very dark area know as the umbra. The umbra is the area of total eclipse. The lighter shadow area is the penumbra or area of partial eclipse. The faint lines I have added help show why we have darker and lighter areas. WARNING: You all know you should never look directly at the sun. The light entering your eyes can cause blindness if you stare at the sun. Only when there is a total eclipse is it safe to look but only until the sun is about to reappear. You cannot even look at the Bailey's Beads or Diamond Ring effect as this is still direct sunlight. One of the most amazing parts of viewing a solar eclipse is when the sun starts to reappear. 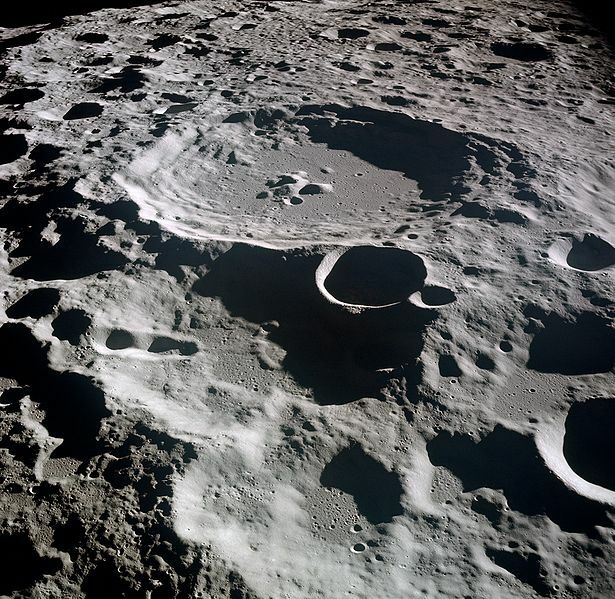 The Moon's surface isn't smooth. There are craters, mountains and valleys. Light first appears through gaps. Light appears in what is known as Bailey's Beads. When only one bead is left we have what is known as the Diamond Ring Effect. Here is another diagram I drew to show what the Diamond Ring Effect can look like. Schools and students have permission to use this graphic for non-commercial, educational purposes. This not a photo but a created graphic. Did you also know there are lunar eclipses? In a lunar eclipse, the Earth passes between the Moon and our sun. You can find out more with the link. 2. 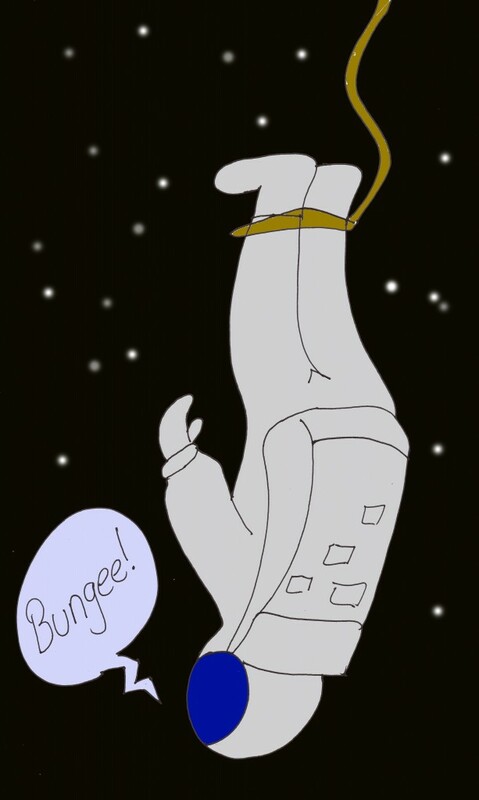 Can you bungy jump on the Moon? I loved this question. There might be some tourism potential there. I see it’s been suggested you can’t because there is nothing to land on but I think it would be possible. You may have read gravity on the Moon is only about one sixth that of Earth. That would mean someone weighing about 36kg on Earth’s surface would weigh only about 6kg on the Moon. Of course, there is very little atmosphere on the Moon and solar radiation would be a big problem so a space suit would be necessary and that would add weight. Okay, we have gravity and weight to make us fall. What next? Bungy jumps on Earth are usually over water from a bridge. If the cord breaks, you get wet. On the Moon, the only suspected water would be in craters where direct sunlight doesn’t hit but it would be ice so there is no liquid water. A broken cord would mean hitting the ground. You might be much lighter but it would still hurt but what a thrill to be the first. Now here’s a thought in a different direction. When astronauts have gone on “space walks” tethered only to their spaceship by a cord, are they bungy jumping or going space skiing? 3. What is the biggest gas planet? Again I see an answer has been given. I agree. Jupiter is the largest gas planet in the Solar System. Planets larger than around 10 times Earth's mass are said to be giants. There are four in our Solar System: Jupiter, Saturn, Uranus and Neptune. To be a gas giant, they have to be mostly gaseous. Jupiter and Saturn are mostly hydrogen and helium. Each of these are gas giants. Uranus and Neptune could be called ice giants. They are thought to have a hydrogen atmosphere but icy cores of water, methane and ammonia. 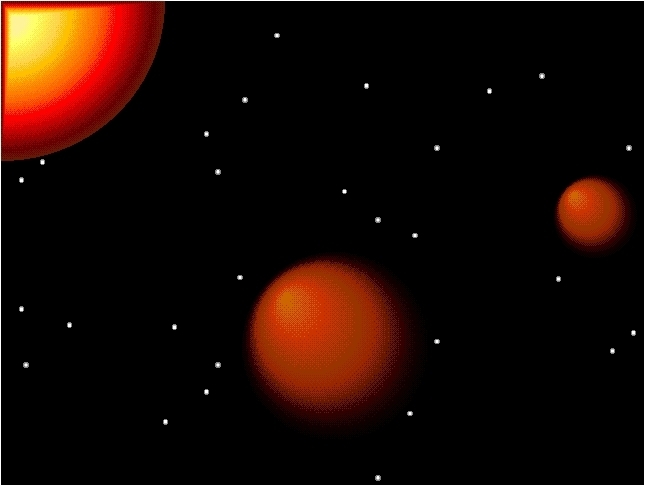 Did you know stars are gas giants? Huge masses of mostly hydrogen is found in newer stars. If a gas giant is big enough, a nuclear reaction known as fusion can start and a star is born. It's estimated a gas giant about 13 times the size of Jupiter might be big enough to start fusion. Imagine if Jupiter had been big enough. Our sky would have our bright sun and a less bright star known as Jupiter. This You Tube clip is not my work. 4a. What is the smallest planet in our Solar System? Another answer has been given, Pluto. I will give an answer but to do this I will answer a question out of order. Above is 4a and below is 4b. 4b. Why isn't Pluto considered a planet anymore? In my book library, I have some old science books. One set of five was published in 1919 and the other was a book published in 1930. In 1919, science spoke of the eight planets in our Solar System. In order from our sun, they were Mercury, Venus, Earth, Mars, Jupiter, Saturn, Uranus and Neptune. Mercury, closest to the sun, was the smallest planet. Some astronomers noticed something unusual in the orbit of Neptune. They suspected there was another planet. The 1930 science book mentioned the possibility of a ninth planet. It was in that year the discovery of Pluto was announced. It became the ninth planet and was listed as the smallest. So why isn't it a planet now? Pluto is now known a a dwarf planet. It is only one five hundredth Earth's mass. Think of it this way. If Earth's mass was one hundred $1 coins, just one $1 coin would be the mass of five Plutos. We didn't really know how small Pluto was until the late 1970s. 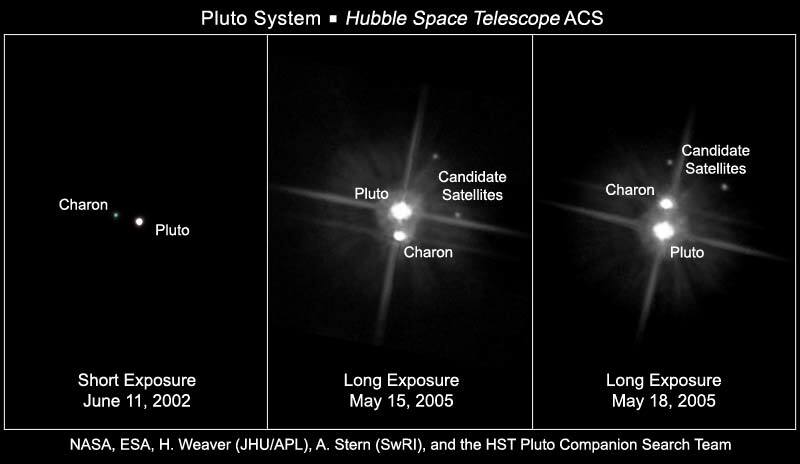 Since then Charon has been discovered as a moon of Pluto, followed by two more moons named Nix and Hydra in 2005. Other large objects almost the size of Pluto had also been found. Astronomers believed there are many large objects (watch the video clip below). They realised it was probably only a matter of time before an object larger than Pluto was found. This happened with the discovery of Eris in 2005. Astronomers decided there had to be a way of saying whether objects were planets. This was done in 2006. Pluto passed 1 and 2 but failed 3 and so is now known as a dwarf planet. Mercury is again the smallest planet in our Solar System. Since then, other dwarf planets have been identified. They are Eris, Ceres, Haumea, and Makemake. The closest dwarf planet to Earth is Ceres. Ceres is in the asteroid belt between Mars and Jupiter. When it was identified as a dwarf planet, it became our closest. 5. What is a light year? A suggested answer was, "A light year is the speed of light when light travels." Some people make the mistake of thinking of a light year as time or speed. It isn't. A light year is a distance. It is the distance light travels through a vacuum (no air) in an Earth year. The suggested answer wasn't correct because it suggests a light year is a speed. In just one second, light in a vacuum can travel almost 300,000km. Do you think a police officer would be able to catch speeding light? 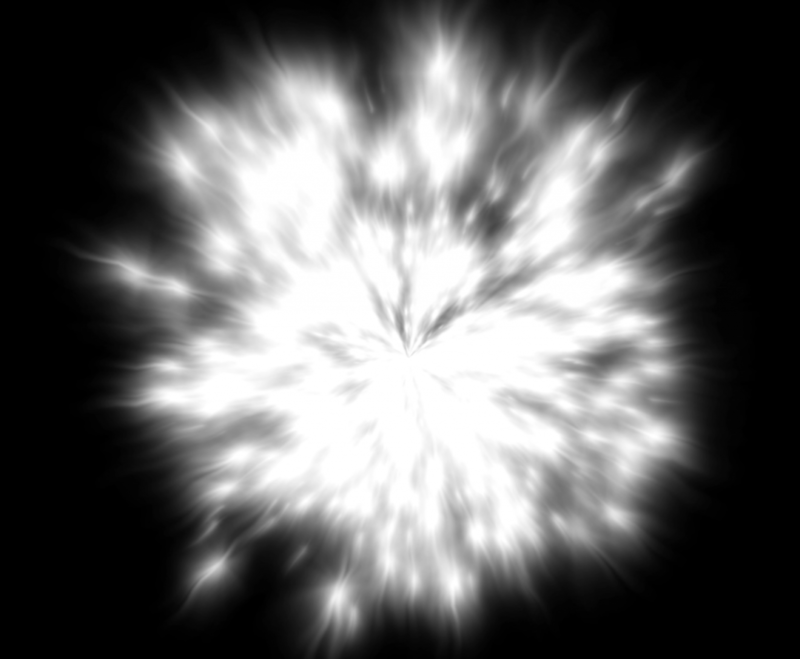 According to Wikipedia, a light year is a distance of a little under 10 trillion kilometres. Our sun is about 149,600,000 km from us. Your family car would take around one and a half million years to reach it if your car travelled at 100kph but light only takes around 8.3 minutes. With next closest star to us being about 4.37 light years distant, I think you might start to understand why travelling to planets around another star is way beyond what we can do. BUT WAIT... I found this video clip on You Tube while looking for other information. A NASA engineer was interviewed this year about the idea of warp space. It's said we can't travel at the speed of light for reasons I won't explain here but the engineer was talking about warping (expand and contract/grow and shrink) space. If this is one day possible, travelling to the next nearest star to our Sun might be possible in weeks or months but this is a long way off if it's possible. Posted in Environment & Weather, One World, One People, Science in the Classroom, Space, Technology and tagged Bailey's Beads, Charon, Diamond Ring Effect, dwarf planet, eclipse, Eris, gas giant, light year, lunar bungee, lunar eclipse, Pluto, solar eclipse, speed of light on July 8, 2013 by rossmannell.